The Durham Tees Valley Community Rehabilitation Company (DTV CRC) approached Up North Communications to help develop a strapline which could be consistently applied across all marketing material supporting their main corporate logo. After taking an initial brief from their Board and Executive Team, we developed some ideas and concepts around brand identity and some key messages that could be interpreted by stakeholders but more importantly, participants. DTV CRC is responsible for supervising and rehabilitating around 4,000 participants in the Durham and Tees Valley areas. The vision of DTV CRC is to enable people to ‘participate in a positive future’. This will assist those participating with the DTV CRC to help them develop, influence their future and help them understand the impact of their crime on victims and local communities. It also ensures they can access the support and opportunities they need to turn their lives around. 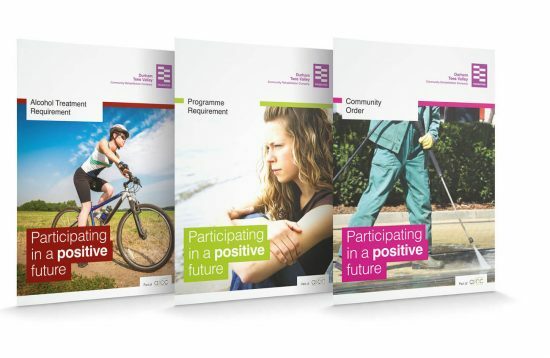 Up North Communications developed the ‘Participating in a positive future’ brand identity and implemented this across all marketing platforms both online and offline. 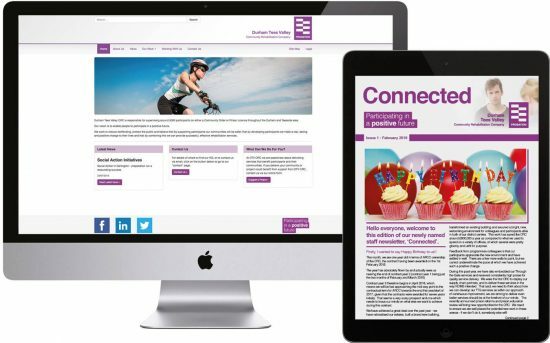 The new brand is now consistently applied to all internal and external marketing literature including leaflets and newsletters, stationery templates, promotional items, vehicle livery and office signage. The successful implementation of this brand is now recognised by all stakeholders including staff, partners and participants and has received positive feedback. Bronwen Elphick, Chief Executive of DTV CRC, said: “Up North Communications have provided a highly professional, prompt and innovative approach to our organisation’s branding, both in terms of creative design suggestions and promotional materials. The latter has covered a range of smaller items for colleagues and stakeholders but also corporate branding within our new office buildings.